This is a sponsored conversation written by me on behalf of Johnsonville . The opinions and text are all mine. 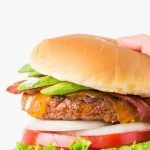 Fire up the grill and celebrate National Burger Day with these flavor packed Cheddar Bacon Avocado Burgers! We have been loving this warm weather! It hasn’t gotten above 82 yet and the humidity is still low so in a month or two my opinion might be a little bit different. 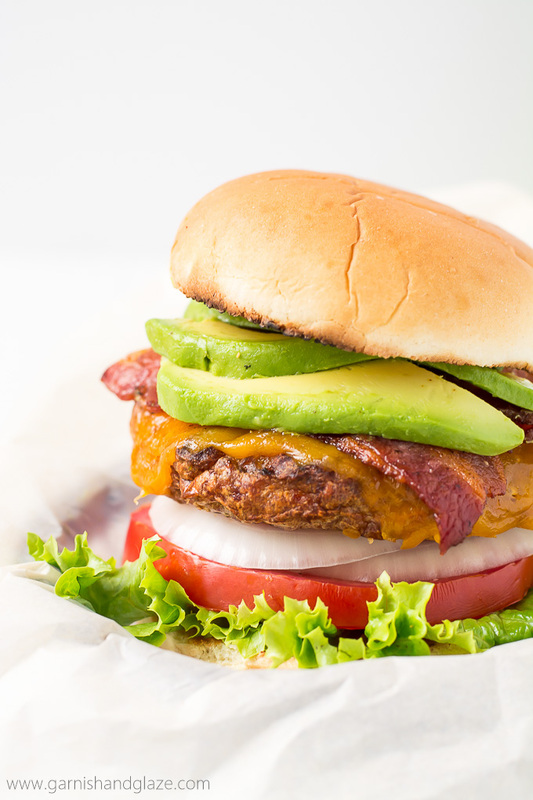 But for now, it’s the perfect weather for grilling scrumptious meals outside like these Cheddar Bacon Avocado Burgers. Nothing says summer like a juicy burger with crisp and refreshing fresh veggies! 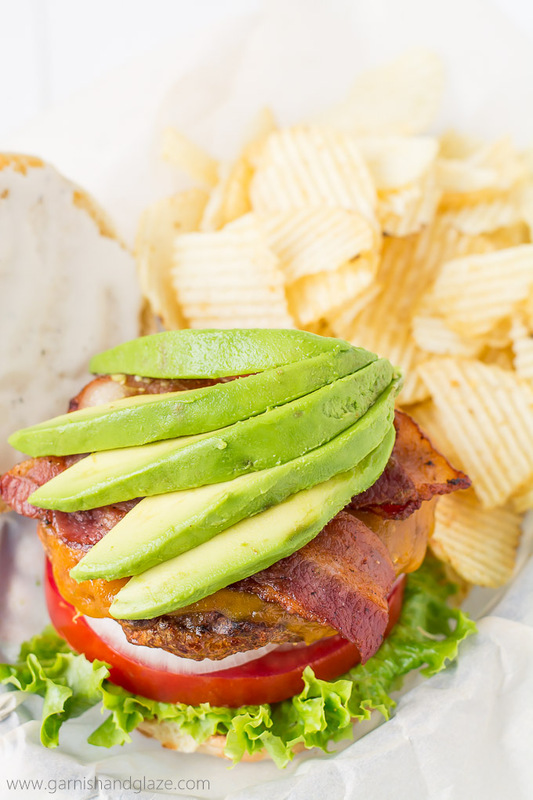 Have you ever had avocado on your burger? Oh my, it is a dream! The pattie heats up the avocado a little making it warm and extra creamy. It’s so good! Once you try it you might never go back. If my husband could only choose one topping on his burger it would be bacon. Honestly, I don’t think I have ever seen him order a burger without bacon on it. And for good reason… it’s simply the best! 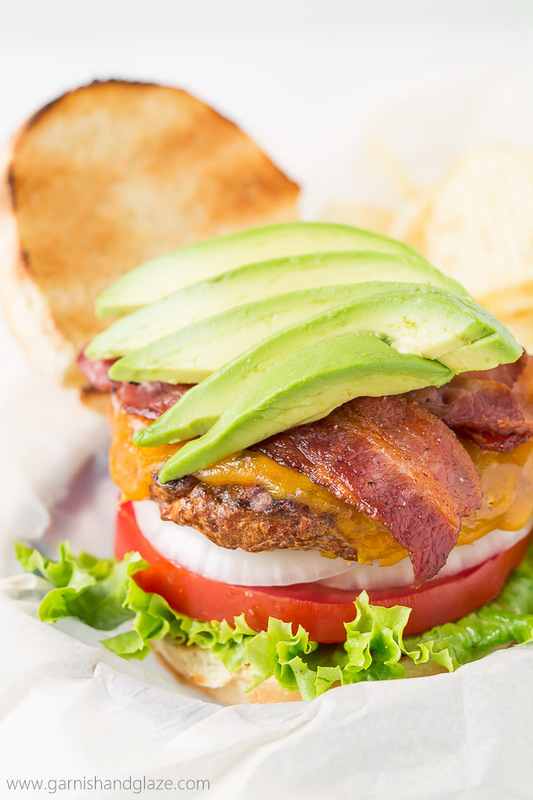 The smoky smell and flavor, plus the crisp texture makes bacon the perfect companion to any burger.Bacon and avocado are excellent toppings but the topping that really makes a burger great is the cheese. I think of cheese on a burger like I think of frosting on a cake… I’m not going to eat it without it. Cheese makes a burger 272 times better. It just wouldn’t be worth eating without. I don’t know how people can pass up that melted goodness that covers the patty in a blanket of gold gooeyness. If you like cheese as much as I do, then swap out that plain ole beef patty for one that has cheese (and bacon!) IN it! Yes, you read correctly. 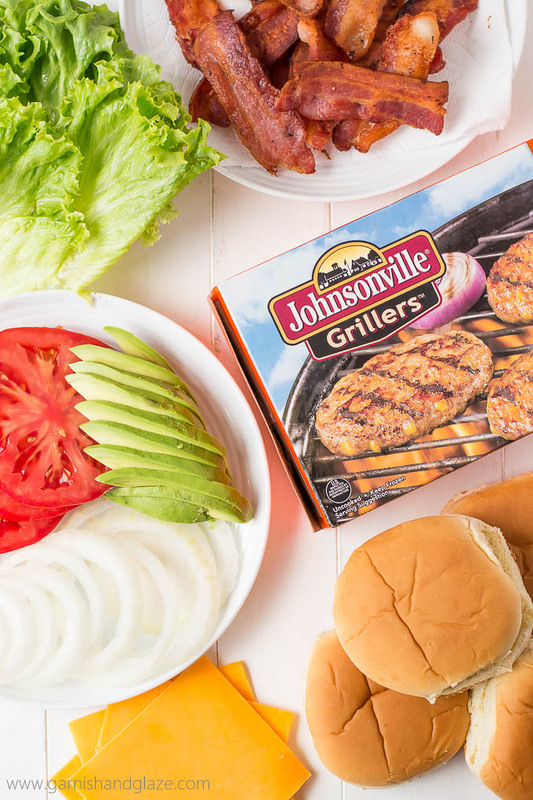 Johnsonville’s Cheddar Cheese & Bacon Grillers are sausage patties made with premium pork, the perfect blend of spices, and have cheese and bacon mixed into them. Using these patties a is yummy new way to enjoy a burger. Plus, it’s nice to have the meat already mixed and shaped into patties because then I don’t have to get my hands so yucky or spend more time in the kitchen. To top this burger off, spread ranch dressing all over that toasted bun. It seems kind of weird but it actually tastes really good with the combo of toppings and flavorful Johnsonville patty. Enjoy! Cut bacon strips in half and then place in a fry pan. Set heat to medium and let it cook 2-3 minutes per side until brown and crispy. Remove and place on a paper towel lined plate. Place the cheese on top of the patties for the last 1-2 minutes of cooking until melted. Toast the buns during this time, if desired. 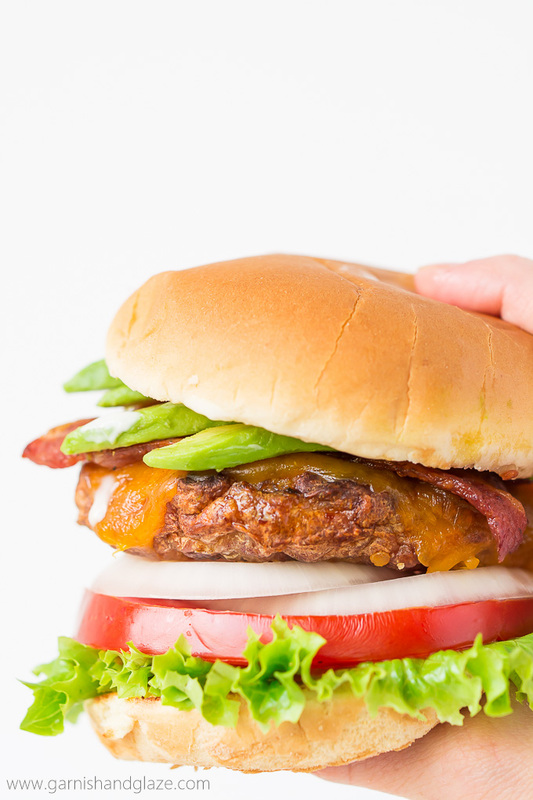 Assemble lettuce, tomato slice, onions, patty, bacon, avocado, and ranch dressing on buns. Serve immediately with chips or fries. I swear there is a national day for every food! Definitely will be whipping up some burgers for it. Thanks for the inspiration! What an amazing burger!! 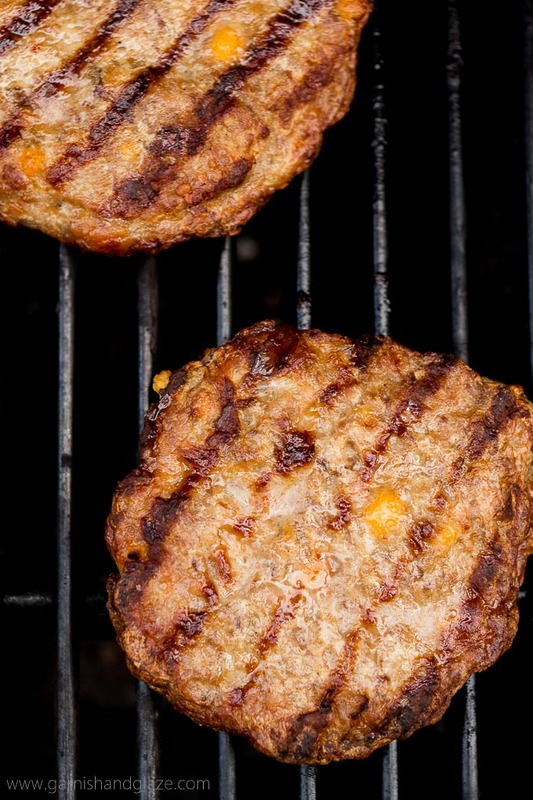 I love Johnsonville products and will be on a lookout for these burgers for sure! !